By air: Flights are available from Istanbul - Sabiha Gökçen (SAW) airport to Alanya - Gazipasa (GZP) airport. Our motel will assist you on arranging a shuttle service from Gazipasa airport. Please contact us for more details. By land: On the Antalya - Mersin main road, when you came from Mersin side our motel located 200m after Mamure Castle on the left side, or when you are coming from Antalya, you should go ahead from the crossroad where the "Women with Bananas" statue stated, after 7km you can see our motel on the right side before Mamure Castle. 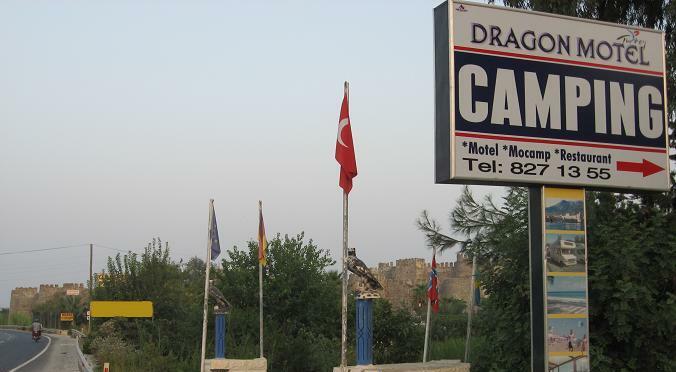 Guests arriving by bus: Buses coming from Mersin will stop just in front of our Motel. The other destination passengers may ask bus company in order to get off the bus at our Motel.